Home > Products > Original Z-Line Series. Matching PC Desk, TV Stand, Work Table. Dittrich Design. Original Z-Line Series. Matching PC Desk, TV Stand, Work Table. Dittrich Design. Dittrich Design; Original 'Z-Line' Range. The Original Classic Z-Line, Designed Over 20 Years Ago by Dittrich Design. Modern Designer Computer Z-Shape Desk Range. With White Metal Frame & Legs. Clean, Classic Finish. Suits Almost any Room. Original Classic Design, Lower Price Than Many of The "Cheap" Copies! The Largest Desk in The Z-Line Classic Range. 1.8m Wide, Loads of Workspace For Even The Busiest Boss. Z-Line Main Desk. 1.5m Width. Perfect For Paper or PC Work. Smaller Than Main Desk, Perfect For PC Work. Use to Join Two Desks Together Into a Corner Unit. Price For Corner Only - Buy Desks Seperately. High Gloss Surface. The Perfect Storage Companion. Perfect For Printers & Faxes at The Office. Makes Superb TV/Hifi Stand at Home. Part of 'The White Collection' From Dittrich Design. Delivery Takes 1-2 Weeks, See Delivery Tab For Further Info. Smaller Desks Can Be Shipped As Normal, Taking 2-3 Days. 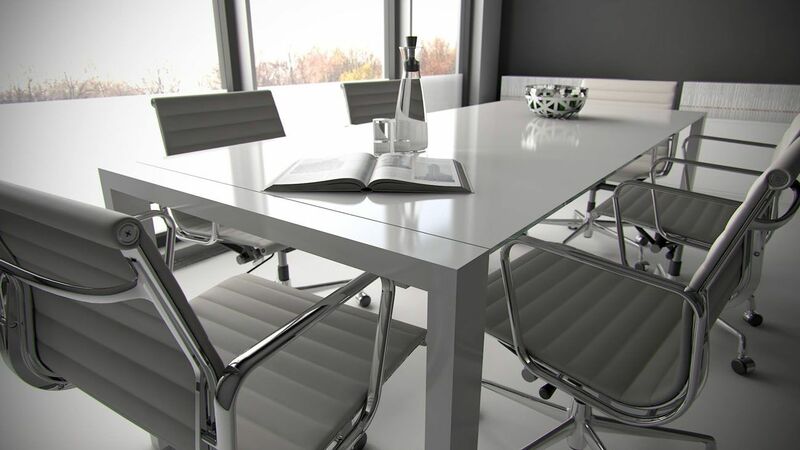 Dittrich Design 'Dialogue' White Glass Table Range.